Life is easy with a residential roll up garage door. The system is light, simple to operate and highly functional. However, it is still subject to the effects of the elements and to natural wear and tear. It is your responsibility as an owner to keep the system in proper working condition. 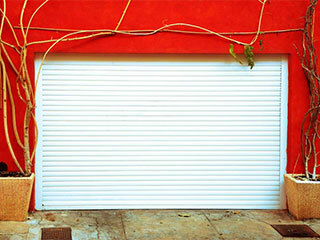 Here is some practical advice on how to care for your roll-up garage door. You need to inspect the door regularly after it has been installed. Check all the metal parts for wear and tear and if any parts are loose, you need to tighten them. You should pay special attention to the tracks too. They should be kept clean and properly lubricated. You can easily remove dirt with a soft damp cloth and an appropriate cleaner if required. Struggling With A 'Sticky Wheel'? One of the more common issues you might face with a roll up door is a "Sticky Wheel". There may be debris that has become stuck in the tracks hindering the path of the wheels – it may help to vacuum out the tracks initially to see if that helps the issue. If not, the wheels may need a little oiling – we can help with this if you're not sure which product you should be using. Another common issue is the occurrence of friction between the door and the stop. The good news is that this problem can be resolved easily with the adjustment of the track brackets. You simply need to loosen the nuts while holding the brackets to the frame. Ensure that there is a quarter and half inch spacing from the door to the track. If in doubt about what to do, it's always best to call a professional – our experts at Garage Door Repair Alpharetta are on hand to help! Last but not least, if your roll up door is moving slowly or not at all, then the problem may reside within your springs. The tension may need to be readjusted to get the system working properly again – these components can be dangerous for an untrained professional to handle so please get in touch if you think you are experiencing a spring-related issue.